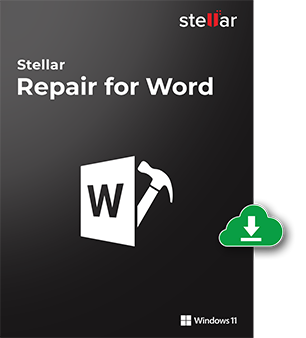 Stellar Repair for Word is an easy-to-use Word repair tool for repairing corrupt MS Word (.doc, .docx) files without modifying the original text, images, fonts, headers/footers, and hyperlinks. Repairs text, font, hyperlinks, header, footer, bookmarks, charts, comments etc. *Free download to scan and preview all recoverable Word document data. 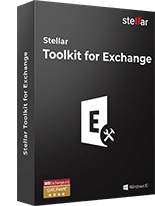 The software repairs various corruption errors of Word files having '.doc' or '.docx' extensions. It performs safe repair of MS Word files by preserving the original text, fonts, images, and headers/footers of the documents. This Word repair tool repairs doc/docx files that are inaccessible, or start repagination automatically, or show unreadable characters. 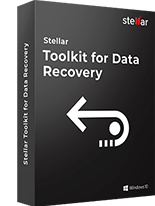 If you do not know the location of your corrupt Word document or the document was moved to a different location, this Word repair software helps you quickly search for the desired file in your system and list them for repairing. You can see the preview of your Word file document after completion of the scanning process. This feature assists you to take the decision if you want to repair Word file. You can see the preview in three different formats, i.e. 'Full document', 'Filtered Text', and 'RAW Text'. Simple Repair option repair corrupt '.DOC' and '.DOCX' files. If your word file has minor corruption then you can opt for this option. This option is to repair Word file with original formatting. If simple repair fails to remove corruption and provide satisfactory results, you can opt for Advance Repair for comparatively better results. This repair option of the tool is available to repair Word file for .doc format only. You should choose this when 'Advance Repair' fails to do the needful. Like 'Advance Repair', this option is also available to repair Word file only for .doc format. It recovers everything in your Word document, but in RAW text or machine-readable format. The reliable software to repair word file (doc/docx) has a simple and intuitive user interface that can easily be used by any computer user without needing any professional help or assistance. Is this software capable enough to recover the original Word files after recovery? Yes, this robust software is capable enough to recover your corrupt or damaged Word files without changing their original text, font, font size, font color, hyperlink, embedded images, headers/footers, and various other attributes of Word file. 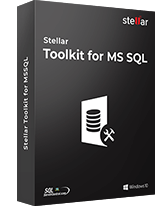 Can I use 'MS Word' file while 'Stellar Repair for Word software is running? No, it is strictly prohibited to use MS Word application while using Stellar Repair for Word software. Therefore, make sure that 'MS Word' is closed while this software is running or performing its task. Can I recover the MS Word file whose location is unknown? 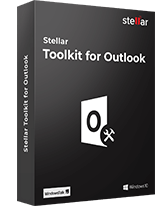 Open 'Stellar Repair for Word' software. Now, select the drive (i.e. C, D, etc) on which your Word file was saved from the 'Look In' drop down and then specify the file extension of the file on 'File Type' text box. By default the 'File Type' text box contains the .doc and .docx file extension. Here the 'Search Subfolders' is selected by default. Press 'Find Files' button. The software immediately starts searching for all the Word files contained in the selected drive and all the sub folders present in this drive. What is Raw Recovery? How can I use 'Raw Recovery' option of this software? Raw Recovery is very helpful option using which you can recover severely corrupt Word documents in 'Raw Text' format. To find 'Raw Recovery' option, go to 'Save As' heading under 'Save Document' dialogue box and choose 'Raw Text' from there. Thus, by selecting 'Raw Text', the software will run the 'Raw Recovery' process and recover the corrupt Word file in machine readable format. In which case I should use 'Simple Repair' option? 'Simple Repair' option runs a standard scan against your corrupt MS Word file. It can repair and recover your Word file with original formatting, embedded images, charts, and headers/footers intact. This option can be used for both '.DOC' and '.DOCX' files. In which case I should use 'Advance Repair' option? 'Advance Repair' option performs in-depth scanning of your corrupt Word file. If the results of 'Simple Repair' are not satisfactory and you still find corruption in the file, you should use 'Advance Repair'. This option works only for '.DOC' files. What are the options 'Full document', 'Filtered Text', and 'Raw Text' in demo version? Full Document: This preview is similar to a Word file opened in Microsoft Word. You can see text with original formatting, fonts, images, and other objects absolutely intact. Filtered Text: With this option, you can preview all text contained in the file without formatting. Raw Text: This option displays the content of your Word file in machine-readable text. You can use this option only for '.DOC' files. I am getting error 'Word was unable to read this document. It may be corrupt'. How can I repair this Word File? The error shows that your Word file has minor corruption. You can repair this corruption with Stellar Repair for Word. 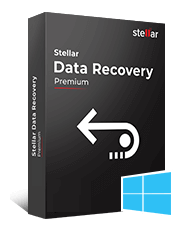 Stellar Repair for PDF - Mac is a professional tool that completely repairs corrupt PDF files in M..